I am pleased to share our member spotlight of In STEPPS with you. They have been involved in the CAS conference from almost the very beginning and were one of the first organizations to submit their application and be approved, once CASP became a membership organization. I am very happy to be highlighting them this month as they are celebrating their 7 year anniversary as an organization! Ability to successfully grow our service delivery options to include behavior services, early intervention, very early intervention for at-risk infants, social skills, school-based support, and diagnostic and assessment services? Our executive director, Yvonne, and clinical director, Erin, have known each other for almost 20 years. They became friends and colleagues in graduate school working with children with autism and learning PRT. 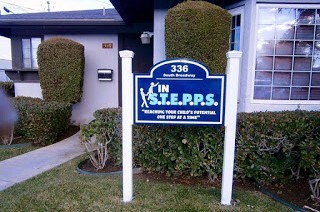 It wasn’t until about 8 years after getting their PhD’s that they decided to work together and open up In STEPPS! Leadership is learning to delegate without abdicating, while keeping people accountable and making them feel valued at the same time. It’s a balancing act! We first began attending CASP in 2010 and immediately it became one of our favorite conferences. At CASP we found other leaders who were willing to share their wisdom and experience in a positive, supportive, and collegial environment. We always come away with numerous ideas and improvement plans, and over the years as our agency has grown, we value the ability to share our own experiences with others. The mission of CASP to cultivate, share, and advocate for best practices is near and dear to our heart, and we look forward to attending every year. We are a clinically-focused agency. Both our executive and clinical directors have backgrounds in applied behavior analysis, as well as special education, human development or clinical psychology. We pride ourselves in trying to remain accessible to our staff and our clients as well as constantly striving on ways to improve our staff training and service delivery.